The Neutrik NA3MDF is a 3-Pin Male XLR to 3-Pin Female XLR feed-through adapter designed for panel mount applications with a D-shaped chassis. The chassis is constructed of incredibly robust nickel-plated die-cast zinc, whilst the silver-plated contacts housed inside ensure exceptional conductivity for high-performance signal transfer. 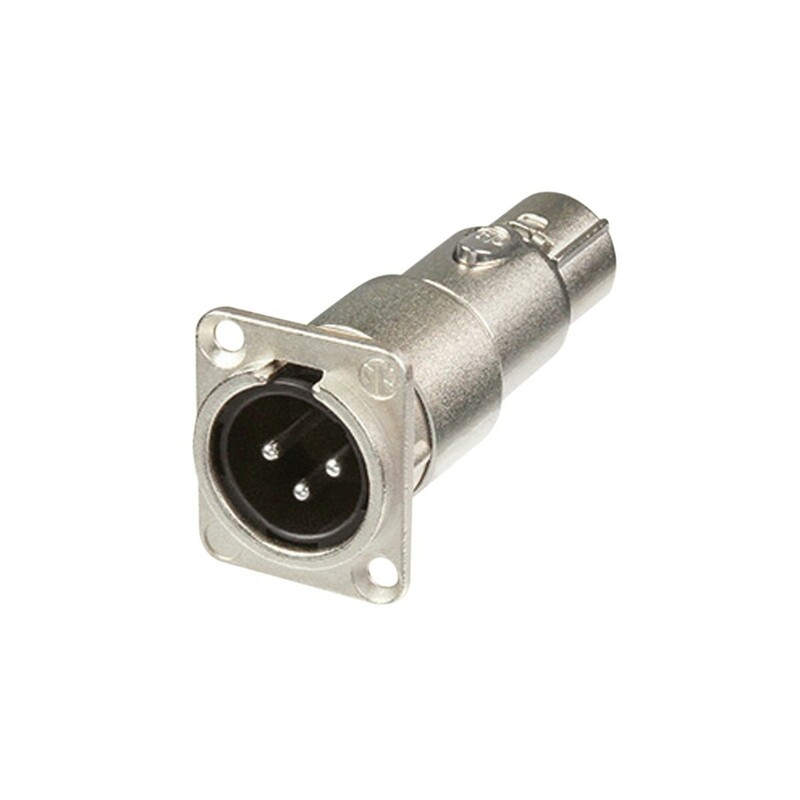 Precisely made to Neutrik's legendary construction and performance quality standards, the NA3MDF is a high-performance adaptor ideal for a wide range of applications.